Powertech Pollution Controls Pvt Ltd – Mist Collector Manufacturers, Welding Fume Extractor in Bangalore, Soldering fume extractor, solder fume extractor in india. In most industries and manufacturing sectors, soldering is an inevitable process. It is a process where heat exchange leads to air pollution. With continuous soldering process, the polluted air surrounds the work atmosphere and affects the health of the employees working in the close vicinity of such affected area. Therefore, it is essential to implement safety measures to prevent the pollution caused by the soldering process. The Powertech Pollution control is the leading Soldering Fume Extractor Manufacturers in the country. It provides the best extractors which can eliminate soldering fume from the workplace. The soldering fumes have caused serious health issues such as asthma, breathing problems, respiratory issues, and cancer. The employees often take leave due to health related issues. It has affected the productivity and hampered the growth. The Soldering Fume Extractor by the Soldering Fume Extractor Manufacturer is a boon to the organization which has resolved the issue. The Soldering Fume Extractor manufacturers adopt a simple mechanism to absorb the fume. The polluted air from the workplace is absorbed with the help of a semi-rigid pipe. The extractor can extract fumes from a distance of 8 to 10 inches. The polluted air is passed through an electrostatic filter that ionizes the dust particle and captures on the aluminum plates placed at the bottom. The aluminum plates are easy to clean and maintain. The Soldering Fume Extractor manufacturers provide high voltage electrostatic filter which can absorb particles of the size of a submicron. The Soldering Fume Extractor can absorb almost 100% harmful particles and fumes. 1> The soldering fume extractor can capture fumes generated by wave soldering. 2> The soldering fume extractor manufactured by the soldering fume extractor manufacturers provide a wall-mountable design which creates space for other facilities. 3> The soldering fume extractor has a bench top design to ease work operation. 4> It is portable and hence easily transferred from one place to another without any issue. 5> The soldering fume extractor has a floor model design too. We earn our living to lead a safe, healthy and a better life. However, not all the workplace is safe and healthy to work. Some facts are inevitable and unavoidable. The industrial and manufacturing units are prone to dust and other contamination which is hard to prevent, however, measures could be taken to clean the polluted air and provide clean, breathable air to the employees. The coolant mist and oil droplets get deposited on the machines and affect the reliability and working condition of such machines. The constant exposure to dust and contamination causes serious health hazards such as respiratory issues, breathing problems, skin irritation, lungs infection, asthma, and cancer. This leads to regular absenteeism from work and decreases the level of productivity and therefore results in the huge loss to the company. Hence, how to resolve such issues? Thanks to Powertech pollution, they have come up with the best solution to completely eliminate dust and contamination from the workplace. The mist collectors by Powertech pollution is an ultimate solution which absorbs maximum dust and contaminants from air and provides a clean and breathable air to the surroundings. The mist collector manufacturers provide mist collectors, which is an oil based system. It is made from quality materials and manufactured with features that align with the standards. The oil-based mist collectors are quite popular because it’s cost effective, reliable, and efficient and exhibits good performance for a considerable period of time. The mist collector manufacturers provide mist collectors which are easy to install and do not incur any maintenance. We find most mechanical workshops that have nasty, sticky floors formed due to oil and dust. These floors are slippery and hard to clean. Such contaminated environment is definitely unhealthy to the employees as the surrounding air is mixed with dust and oil droplets. The mist collector manufacturers by providing oil-based mist collectors have effectively absorbed dust and oil and prevent from settling on the floor to provide a clean and a safe floor to move. The oil-based mist collectors by mist collector manufacturers are very easy to install and do not require expert labors to install. The mist collectors are so designed that they can be easily cleaned without any hiccups. The filters used in the oil-based mist collectors by mist collector manufacturer’s implements electrostatic technology for its operation and hence it consumes less energy to complete its task. In normal filters which are not oil-based, the filters clogged with dust may restrict air flow and hence the fan has to be rotated at a greater speed to allow air flow. This leads to more power consumption and therefore oil-based mist collector system is considered as a cost-effective filter system. As the filters used in the oil-based mist collectors by mist collector manufacturers are highly durable and reliable. It does not require any replacements and hence it’s a popular choice among industries for their reliability and low cost. A Soldering Fume Extractor by Powertech pollution control is the best that you can lay your hands on as far as the suction capacity is concerned. These are available in a very wide range of suction capacities that start from 250 cu mtrs per hour and go on until 8000 cu mtrs per hour. The soldering fume extractor works in the common principle of an electrostatic filtration and can control a lot of fumes, microscopic dust and smoke. There is also one large capacity equipment that can be used for multiple types of machines for the control and capture of dust, fumes and smoke. This product is thus used very extensively for the removal of mist, fumes, smoke and fine powder and this is done with the help of very specific generating sources. These sources include the following. All these can be fitted with the help of a self- balanced extractor that regularly has arms of various and different lengths for an added level of flexibility and this can capture the fumes from various generating sources. 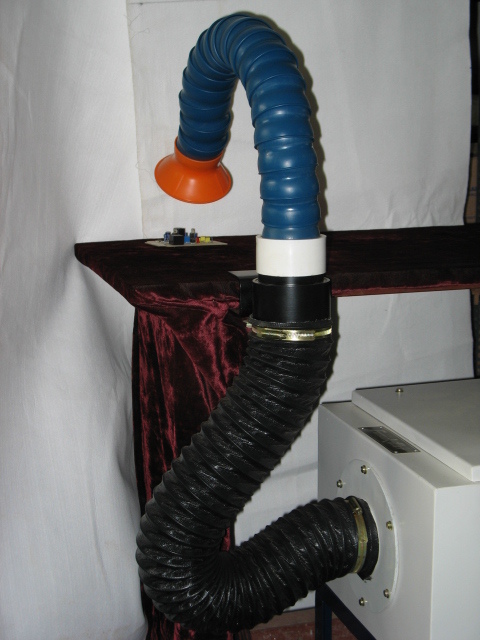 Thus you can also make very good use of a Soldering Fume Extractor in order to use all these suction capacities. 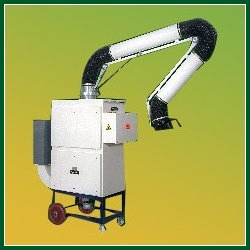 A soldering fume extractor that is manufactured and made available by Powertech pollution control pvt ltd is obviously one of the best that is available out there. It is made of the best manufacturers and parts during its production process and this is what that keeps it going in the long run. You also need to use soldering fume extractor to the best of its abilities. Powertech Pollution control has obviously grown in stature in recent times because of the demand of a mist collector. Mist Collector have always been an area of great concentration for Powertech. Mist collectors are in high demand because of their great function of getting rid of mist as effectively as possible. The mist collectors here are available in a very wide range of suction capacities that start or range from 500 cu mtrs per hour and up to 8000 cu mtrs per hour. These are standard for any Mist Collector offered by Powertech pollution control pvt ltd.
All these mist collector work on the principle of an electrostatic filtration and can also control all types of mist and this includes oil mist as well as a coolant mist. There is also one large capacity equipment that can be used for various multiple machines for the control as well as capture of the mist. Thus you must always use a Mist Collector. This product is also extensively used for the removal of mist from various specific generating sources and these include the following. Also all of these mist collectors can be fitted with the help of a self-balanced extractor that can arm various lengths for an added level of flexibility in the capture of a mist from various generating sources. These centralized mist collectors can also be supplied up to 1, 00,000 CMH suction capacity and this is in a modular form. All you need to get a good suction capacity in the long run. This mist collector is best when bought from Powertech pollution control pvt ltd.